The Marton is welcoming to families, couples, groups and independent travellers. There is a selection of single, twin, double and family rooms including quadruple rooms with garden views. All guest rooms are en-suite and equipped with television, radio, and tea & coffee facilities. The Pandora Hotel is Marton Guest House's sister hotel; the Pandora's Sunflower Restaurant opens daily for continental evening meals prepared with fresh local produce. The walk to and from St. Peter Port's centre is worth the effort as you will find a wide choice of venues from casual to more sophisticated eating. Close by are the pleasures of St. Peter Port, where you will find many restaurants, sites of historical interests and shopping opportunities. The Marton Guest House is also only a couple of minutes walk away from the wonderful coastal cliff path leading to Fermain Bay. Some ground floor rooms are available. Delightful and helpful staff. Ample, tasty breakfast (amazing yoghurt!). The soundproofing above our room (24) was poor so with creaky floorboards and noisy guests there it was a nuisance at night hence our 4/5 stars. Hotel was in convenient position. We'd be happy to return. Lovely hotel, clean, tidy, good service. We stayed at the Pandora Hotel as The Marton Guesthouse closed earlier than expected. Clean, tidy, helpful staff and a good breakfast. As I have just said the accomadation was only just acceptable with a lack of facilities on hynsight would not have booked it . We thoroughly enjoyed staying here. We had a lovely room. The staff were excellent and gave us a warm welcome every morning, and on returning from a day out. Staff especially Tanya were friendly & most helpful. Our room appeared to have been recently renovated compared to photos seen on reviews. 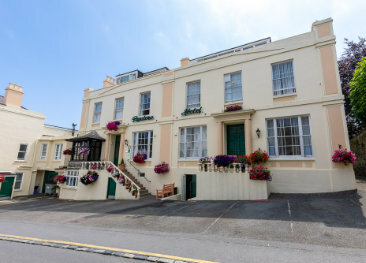 The Pandora Hotel is only a ten minute stroll from St. Peter Port town centre and is located in an elevated position overlooking Guernsey's capital. 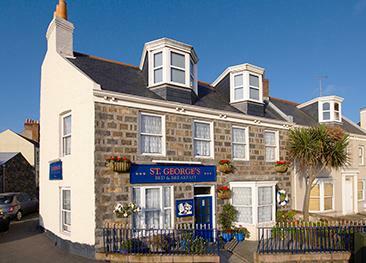 St. Georges Guest Hours sits on the esplanade close to St. Peter Port marina, offering lovely views of the other Channel Islands. 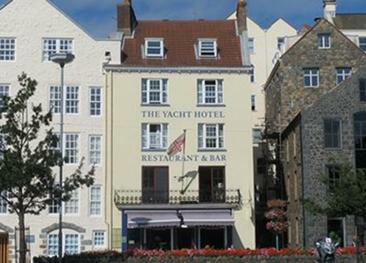 The Yacht Inn is a conveniently situated guest house in the centre of St. Peter Port, featuring a lively bar and restaurant.